Today’s big WWDC kick-off saw much publicity even before the curtain was raised. Anticipation was sky-high, and all the press in the land converged upon what was possibly the most exciting non-iOS hardware announcements for some time. We knew something big was coming, and we were right. Alongside the big, rather expensive, and highly desirable new MacBook Pro, complete with Retina Display, Apple also took the wraps off a bunch of software. OS X Mountain Lion got the big stage treatment once again, but it was iOS 6 that really pulled in the crowds. With Apple’s smartphone business rapidly becoming its biggest, most exciting and arguably most important, all eyes were on Scott Forstall to see what iOS 6 would bring. But while the announcements were all well and good, and we can’t wait to give iOS 6 a real test just as much as everyone else, what was potentially the most interesting development of WWDC day one was Apple’s treatment of Samsung. Some would call Samsung Apple’s biggest competitor. We’re not sure we would argue with that, especially when you look at the apparent demand for the latest Galaxy S phone, the Galaxy S III. Even with HTC and the rest still vying for buyers’ love, it is Samsung and Apple that are the driving forces in the smartphone space. 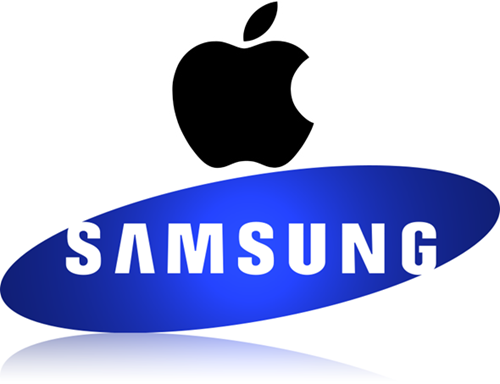 Interestingly, that meant Apple saw fit to poke Samsung with a big stick, and more than once. As anyone who has watched the keynote will know, the entire shebang kicked off with Siri cracking a few jokes about the Korean firm. We had the where Siri asked who was excited about the new Samsung, only to suggest that it was a “refrigerator” she was talking about, not the phone. We had the comment about Google’s naming convention for its versions of Android, too, and whilst not directed squarely at Samsung, the intent was clearly there. 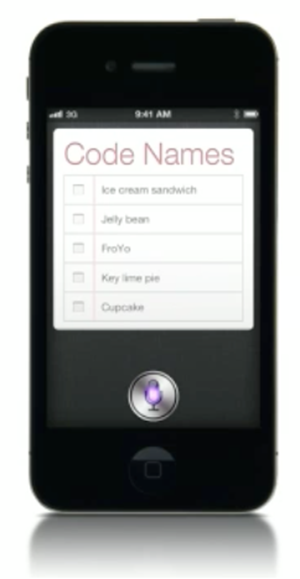 Even Scott Forstall got in on the action, mentioning a “dairy product” when referring to a version of Android. We presume the joke was about Ice Cream Sandwich, but it wasn’t all that funny anyway. If you missed it all, you can watch it again here. When it comes to poking fun at competitors, Apple has had a history. Back in 2005-06, Jobs’ and Co infamously made fun of Microsoft’s Windows Vista on WWDC’s stage. And who can forget “Redmond, Start Your Photocopiers” tag line from WWDC 2004? And now, it seems like Apple’s willingness to strike right at the heart of its competition, and so blatantly, is back, and one that we are not sure we are too keen on. Why stoop to everyone else’s level when your sales figures now speak for themselves? Why poke the competition when you clearly don’t believe they really are….competition? It is not beyond the realms of imagination that Apple is now beginning to feel the heat. With legal battles ongoing between Apple and a host of other technology companies, is Apple beginning to batten down the hatches and adopt a siege mentality? Is Apple getting ready to take on the world? Who knows? What we do know is that if the firm can keep knocking out software of the caliber of which iOS 6 appears to be, and keeps putting together hardware like the new MacBook line, then it doesn’t need to resort to cheap shots. Let Samsung throw its toys out of the pram and put together ads that make themselves look childish. You’re better than that, Apple. Now it’s time to prove it. You can follow us on Twitter, add us to your circle on Google+ or like our Facebook page to keep yourself updated on all the latest from Microsoft, Google Apple and the Web.